Robert Hilburn's storied career as a rock critic has allowed him a behind-the-scenes look at the lives of some of the most iconic figures of our time. He was the only music critic to visit Folsom Prison with Johnny Cash. He met John Lennon during his lost weekend period in Los Angeles and they became friends. Bob Dylan granted him his only interviews during his "born-again" period and the occasion of his 50th birthday. Michael Jackson invited Hilburn to watch cartoons with him in his bedroom. When Springsteen took to playing only old hits, Hilburn scolded him for turning his legendary concerts into oldies revues, and Springsteen changed his set list. In this totally unique account of the symbiotic relationship between critic and musical artist, Hilburn reflects on the ways in which he has changed and been changed by the subjects he's covered; Bono weighs in with an introduction about how Hilburn's criticism influenced and altered his own development as a musician. 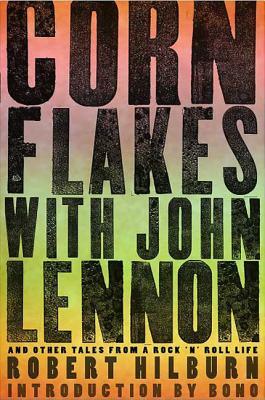 Corn Flakes with John Lennon is more than about one man's adventures in rock and roll: It's the gripping and untold story of how popular music reshapes the way we think about the world and helps to define the modern American character.